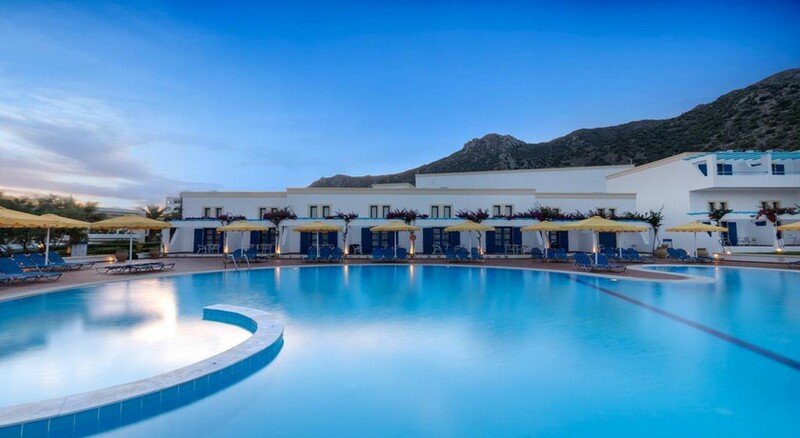 In the sun-kissed Greek Islands resort of Kardamena, luxurious Mitsis Norida Beach Hotel stands out due to its feature-packed amenities and proximity to a great beach. Well-furnished 455 guestrooms with stunning views of the Dikeos mountains and the sea welcome the travelers looking to soak up the sun and stroll in the marvelous beaches nearby. With shops, cafes and bars all a small walk away, and fabulous Greek and international cuisine on offer, Norida Beach Hotel is an all-inclusive resort that ticks all the boxes on travelers seeking a comfortable stay in Kardamena. This is a favourite of couples and families looking for a memorable stay by the beach and enjoy the famous sunset from a taverna sipping a cocktail. Mitsis Norida Beach is located on the foothills of Dikeos mountains and very close to the sweeping beach of Kardamena. 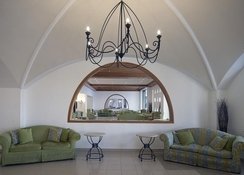 Just 9 km from the Kos Airport, the hotel is well-connected to the resort centre with nightclubs, tavernas, shops and bars via free shuttles. Kos town is 30 km away, while the nearest town is bustling Kardemena. Leisurely activities like canoeing, crazy golf, go-karting, horse riding, pedaloes, windsurfing or mountain biking are a short hop away. Mitsis Norida Beach Hotel has 455 comfortable and spacious guest rooms including 25 bungalow buildings all offering a luxurious stay with 5-star comfort. These rooms are equipped with private bathroom, hairdryer, direct dial telephone, air conditioning, mini bar (refilled every 2 days), safety deposit box and a balcony or terrace. Guests may also request for sea-view rooms depending on availability. Some of the rooms are located uphill offering amazing vistas, so guests with walking difficulties may inform beforehand. 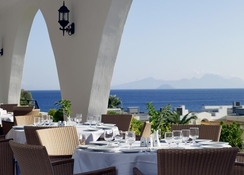 Mitsis Norida Beach Hotel has a main buffet restaurant La Principessa, a tavern Le Pergola, Asian restaurant Kublai Khan and seven bars to cater to the palate of the guests. 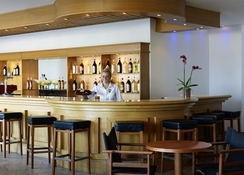 Among the bars, there are the Casablanca Bar, Nautilus Pool Bar, Café Bar Bellagio and Navarone Bar. These also serve tasty snacks and light bites. 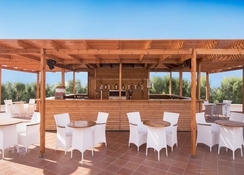 In additions there is a pizza oven and a beach bar right on the beach to serve guests. The all-inclusive package covers all meals, breakfast, lunch and dinner, afternoon tea, as well as snacks throughout the day (includes midnight snacks) and ice cream is available from 10am to midnight. Picnic lunch baskets can be arranged at a day’s notice. 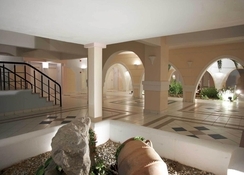 Mitsis Norida Beach Hotel is close by a beautiful sand and pebble beach in Kos. Canoeing, Windsurfing, pedaloes are available on the beach. In addition, with its all-inclusive sports program lets guest enjoy facilities like aerobics, basketball, billiards, beach football, beach volleyball, canoes, darts, floodlit tennis courts, water polo, table tennis, pedaloes, windsurfing (watersports total of 20 minutes per day), water polo and water slides. Stayed here with daughter and her young family superb stay plenty of family fun food very good plenty of choice.Also very clean superbly looked after. Looking forward to spending time with a friend in may so I can enjoy lots of other facilities which with young children we could not take advantage of especially the mottito bar and all other facilities just a great hotel so looking forward to May . Had a wonderful relaxing holiday at this super hotel that was actually recommended by your sales person.